Henry Ziemann, a master carpenter, founded the Empire Level Manufacturing Corporation in 1919. As the inventor of the modern level, he started a revolution in the industry that became the cornerstone of Empire. 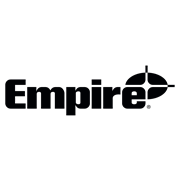 In its first three years, Empire created the adjustable level with interchangeable and replaceable vials. They followed this first success with a series of innovations: the torpedo level, the Mono vial, the magnetic level and the first extruded aluminium rafter square.